A man is being treated in a Dutch hospital after spending two and a half hours lying on top of a bomb. 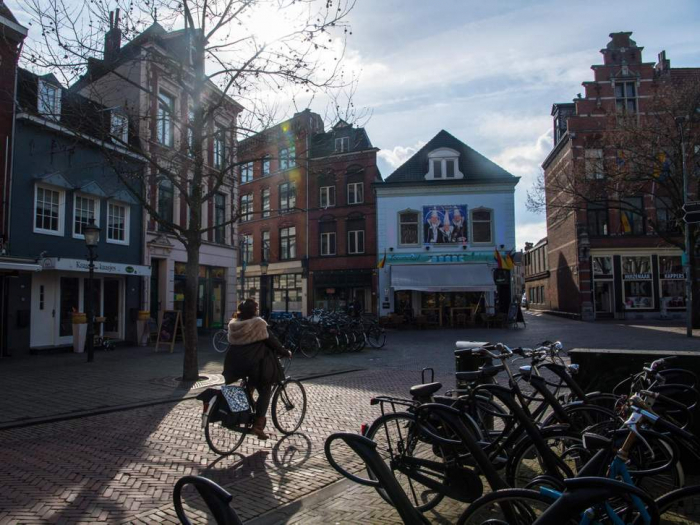 Around 120 people were evacuated from nearby buildings in the city of Venlo in the early hours of Thursday, while a bomb disposal team worked to free him. He reportedly found the device, described as a grenade or shell dating from the Second World War, while walking his dog. The man's girlfriend told Dutch broadcaster L1 that he called the emergency services "because the thing was hissing". He covered the unexploded grenade with his body and lay there as temperatures plummeted, until explosive experts were able to free him hours later. "He was almost hypothermic," his girlfriend said. "Only after an hour did he get a blanket." "He really did not want to commit suicide," she added. The bomb disposals team found that it no longer contained any explosive materials and allowed evacuated residents to return home. It remains a mystery why the bomb was hissing, a fire department spokesperson said.